Combining station buildings with community facilities is a great way to put people at the heart of local and regional railways. By welcoming people into the station you can attract new audiences to travelling by train. Involving people at an early age has been shown to reduce vandalism and create a sense of ownership and pride. Displaying community artwork makes stations brighter and more welcoming. Community facilities can provide useful services for existing passengers – from book exchanges to creches. By involving more people at the station, you make it a busier, more welcoming, safer place. The new station building at Burnley’s busiest station contains not only a booking and information office, but also a dedicated classroom. 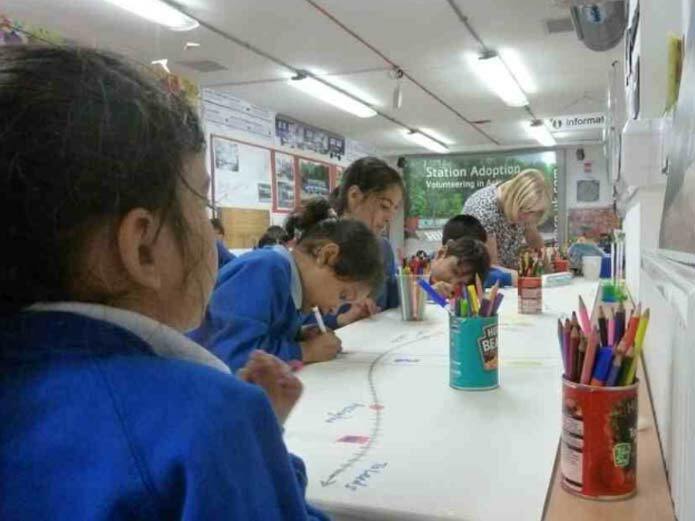 This acts as a base for Community Rail Lancashire’s school engagement work that has won a series of national UK awards. The station building has already attracted strong interest within the rail sector. Visitors have included a special advisor to the UK government’s Department for Transport, who praised the station for its visual appearance and its modular construction. Burnley Manchester Road’s design could become a template that can be expanded or contracted to suit the local circumstances of other stations. Read more. The old goods shed at Le Pallet station in Pays de la Loire has been transformed into a thriving creche catering for more than 20 children. The facility is of course particularly useful for working parents who commute by train – especially since the creche’s opening hours have been tailored to fit with arrival and departure times from the station. Since 2010, Community Rail Lancashire has engaged with more than 6000 young people and adults thanks to the facility below the main station building at Accrington Eco Station. Consisting of three rooms, the area is affectionately known as the ‘bunker’, with the main room specially adapted for the school engagement work with year 4 and 5 pupils (9 to 11 year-olds). 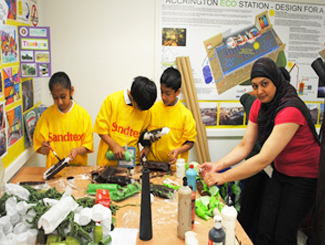 Accrington was also part of the EU SusStation project that demonstrated sustainable building design and operation. 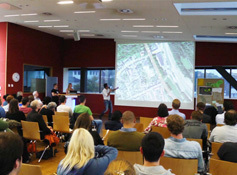 The ‘bunker’ is regularly used for meetings and small conferences. The station also has a privately run ‘coffee kart’ in the booking hall and a secondhand book display which raises money for local charities. The building is owned by Lancashire County Council and leased to Northern Rail. The station plays a vital role in the community and has seen strong growth since opening. Read more. Lancashire County Council’s Richard Watts has played a key role in creating both the Accrington and Burnley Manchester Road community-focused station buildings. 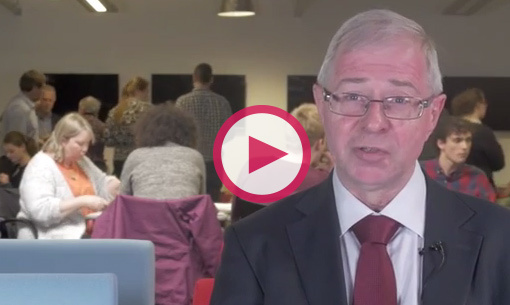 In this video, he describes the Council’s work within the Citizens’ Rail project. As well as the new Burnley building this also included supporting an ambassadors scheme to help new audiences to travel by train, and marketing Burnley’s new direct service to Manchester – the first for 40 years. The new station building in Burnley has led to an estimated 12% increase in journeys to and from the station, according to research. The study was conducted before the new ticket office received extended opening hours and before the direct service to Manchester began. This means the long-term impact is likely to be even greater still. Community engagement is all about making people feel comfortable with their surroundings. For many people, coming to a station is a new experience so it is important to make this as stress-free and informative as possible. 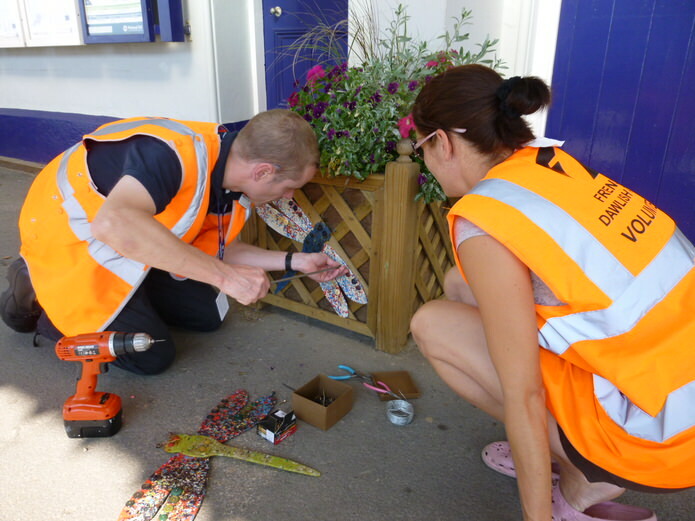 Community Rail Lancashire (CRL) has developed facilities at Accrington and Burnley stations (see the examples in the Inspiration section above) that help with the type of community engagement work being carried out at each location. Working with the educational sector requires having the right contacts and understanding the needs of the curriculum. CRL has developed its school engagement work in partnership with local teachers and schools, and was lucky in finding a local school that was willing to be a ‘guinea pig’. 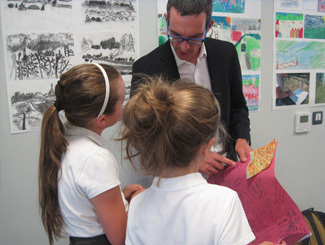 They wanted to make their pupils more aware of the benefits of rail travel and this was their opportunity. Their involvement at a formative stage meant the programme could be fine-tuned before being launched. Working with the educational sector is like being on shifting sands. Be aware of changes to the curriculum and new priorities. This means that the educational package offered needs to be constantly reviewed, refreshed and updated. CRL has found this is best done by closely involving schools in the process as they are the experts. If you work with schools it is useful to have someone in your team who has worked in education. They know the way things are done and the language that teachers use. Blowing a horn may not be the most obvious way to engage a class of children, but when it is a railway warning horn then it takes on a new and interesting dimension. Tailor what you do, bearing in mind the audience you are dealing with. This requires thought and planning. Never leave anything to the last moment. For example, art work can be messy so have your room laid out for that. Make sure that the activities are achievable and enjoyable. That way the pupils will stay engaged and get the most out of the experience. CRL has pioneered its ‘Passport to Safer Rail Travel‘. As well as teaching young people about the safe way to behave when travelling by train, it rewards them by allowing them to travel free for a period of time as long as they are with a fare paying adult. 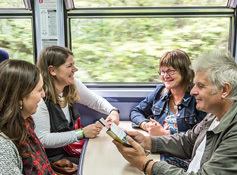 The passport concept has been emulated in Devon and Pays de la Loire as part of the Citizens’ Rail project. Having got your community building, you will now need to consider the nuts and bolts of your project. If you end up owning, leasing or using a building, you will need to consider who is going to be responsible for it, who will hold keys and very importantly who will clean the toilets and make the tea! Getting the detail right is as important as the big picture – perhaps more so. Buildings cost money to run – from expensive energy bills to toilet rolls. Security of funding is essential for the delivery and development of your project. Having met all your capital outgoings, can you meet the day-to-day running costs? It is sometimes easier to get capital to deliver a project than it is to get revenue to deliver an ongoing service. Capital-rich, revenue-poor is not a good mix, so make sure you have secured your finances. If you have your own case studies, resources or ideas to contribute to this (or any other) section of the toolkit, please get in touch. Email our lead partner DCRP or call +44 1752 584777 to speak to our lead partner, the Devon & Cornwall Rail Partnership.